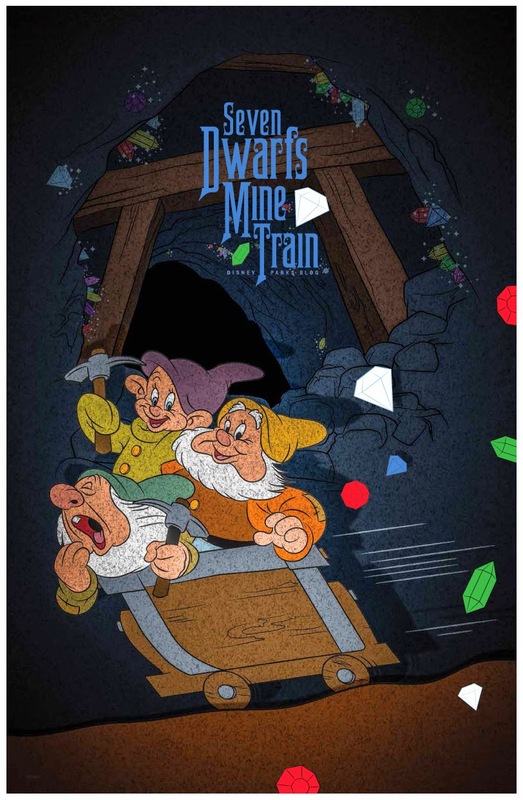 On May 27th, just one day before the Seven Dwarfs Mine Train "officially" opened to the public, the Disney Parks Blog was giving away a poster celebrating the new WDW attraction. 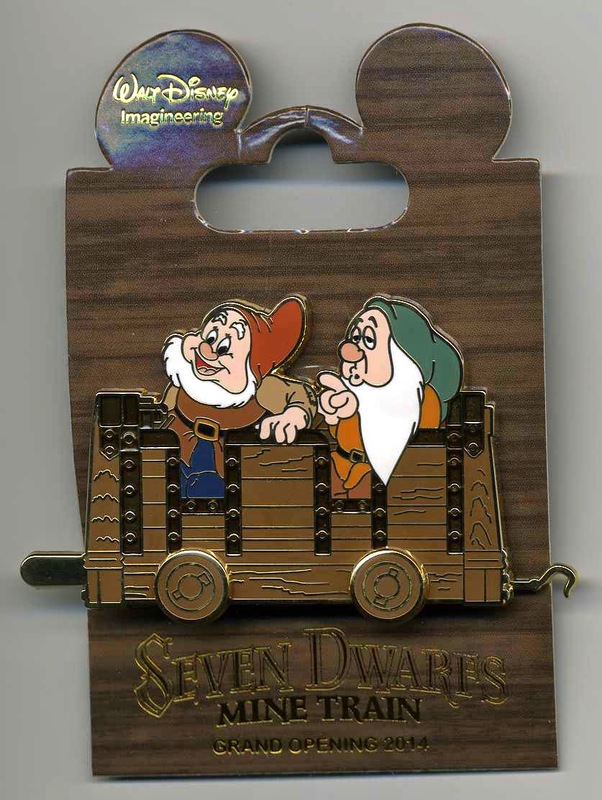 The prize was free to the first 100 people who sent in an email with a “Celebrating Seven Dwarfs Mine Train” greeting of no more than 50 characters. 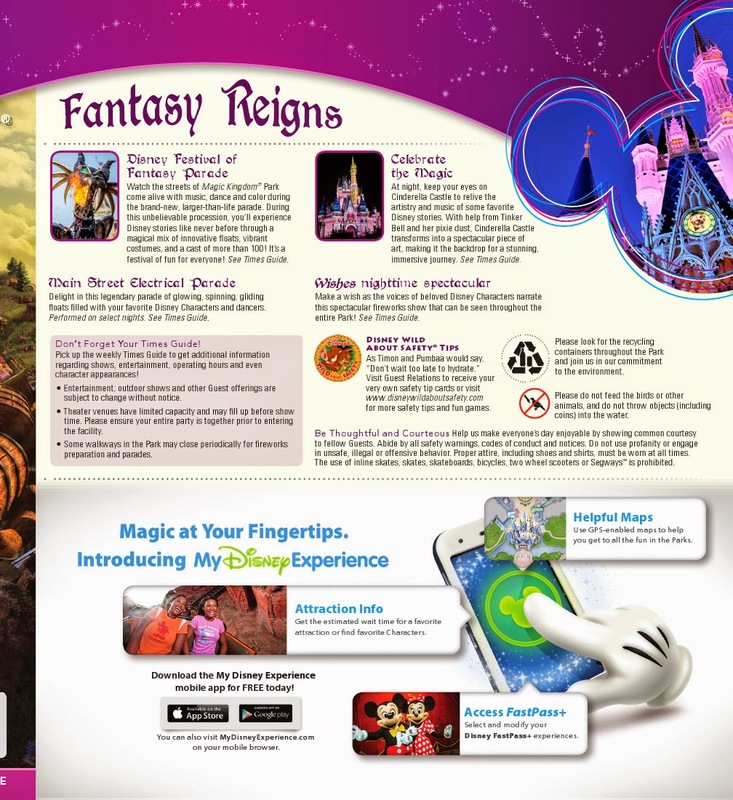 Image copyright Disney Parks Blog. 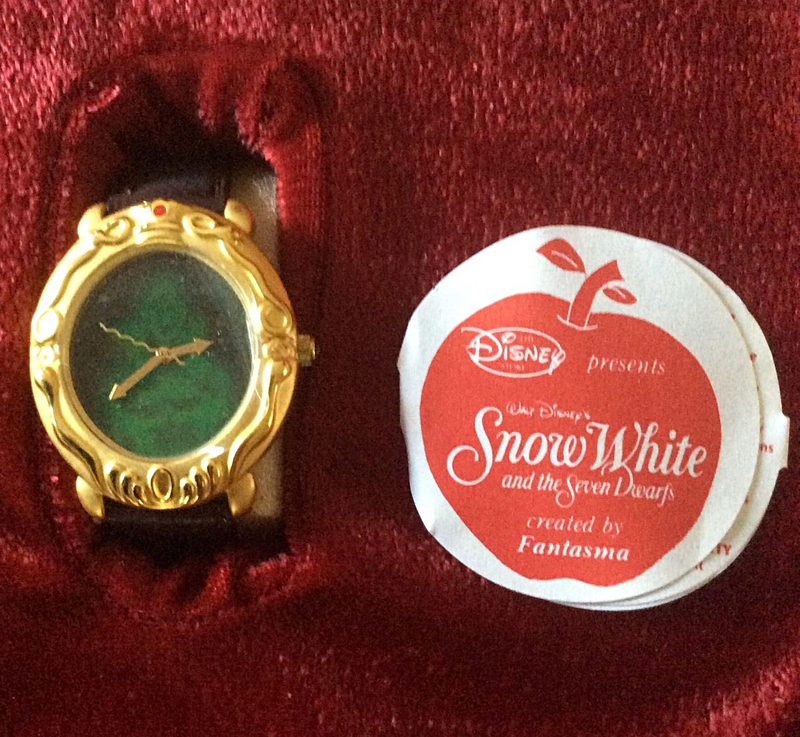 Three weeks ago on May 10, 2014, Snow White blogger--1937Fan of Whistle While You Blog--attended the D23 Day at Walt Disney Imagineering in Glendale, CA. 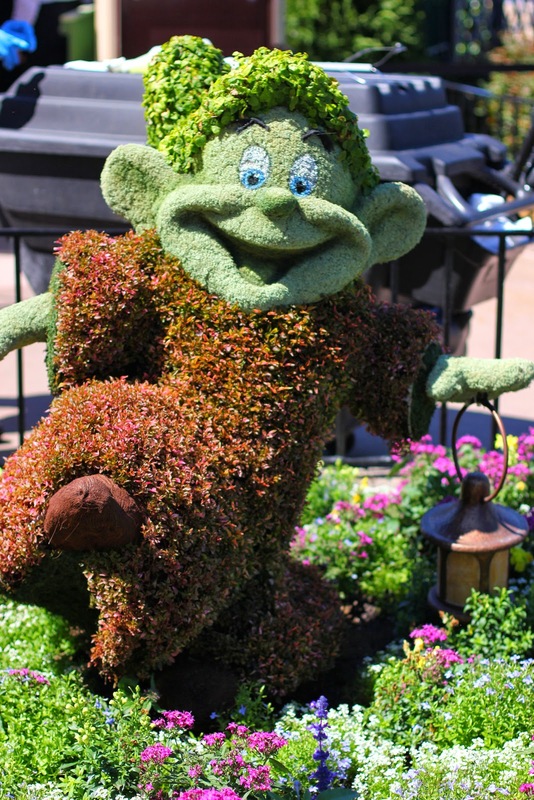 The event was a celebration of the new Seven Dwarfs Mine Train at Walt Disney World and included panel discussions and presentations by the imagineers who designed the attraction. A number of commemorative items were available for guests to purchase. 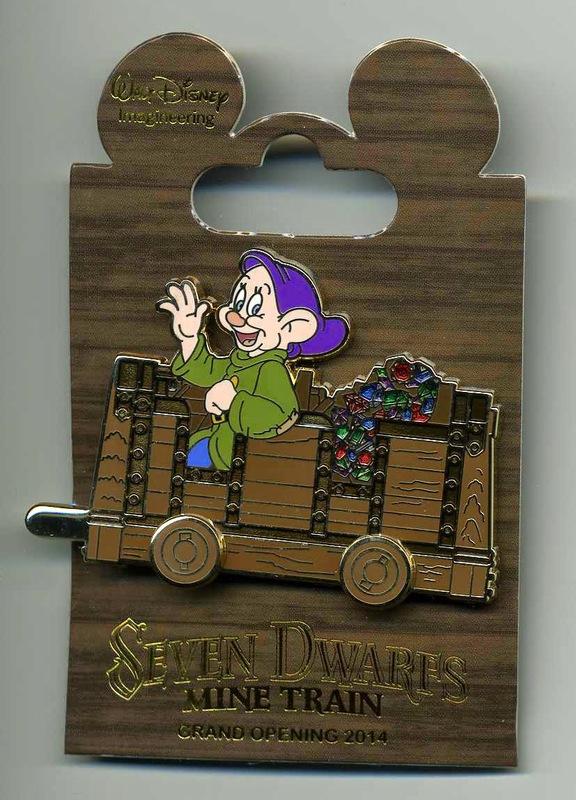 Among them were these Imagineer Exclusive pins, each limited editions of 300. 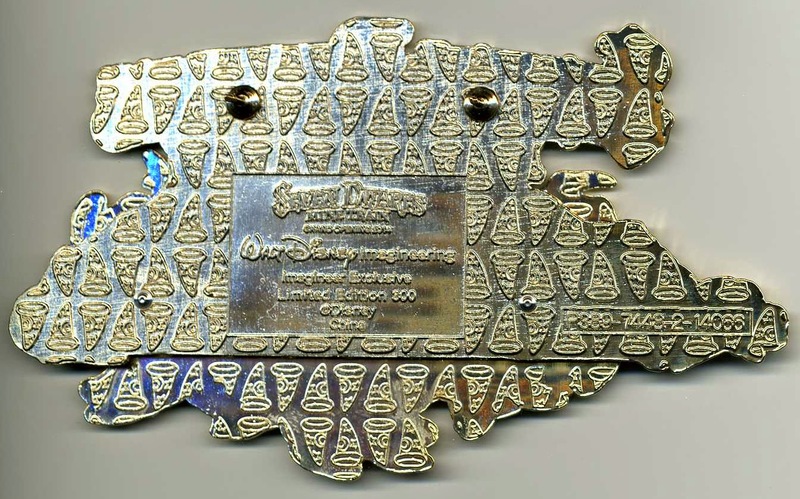 This first example is a boxed design featuring the ride logo. 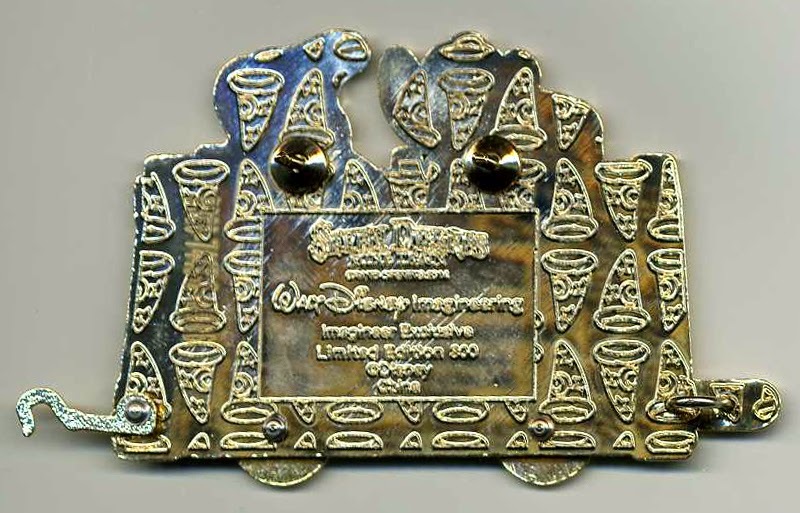 Also for sale was a series of four "Grand Opening" mine car pins. All images are courtesy of 1937Fan. Visit her blog post to see the other SDMT items available that day. 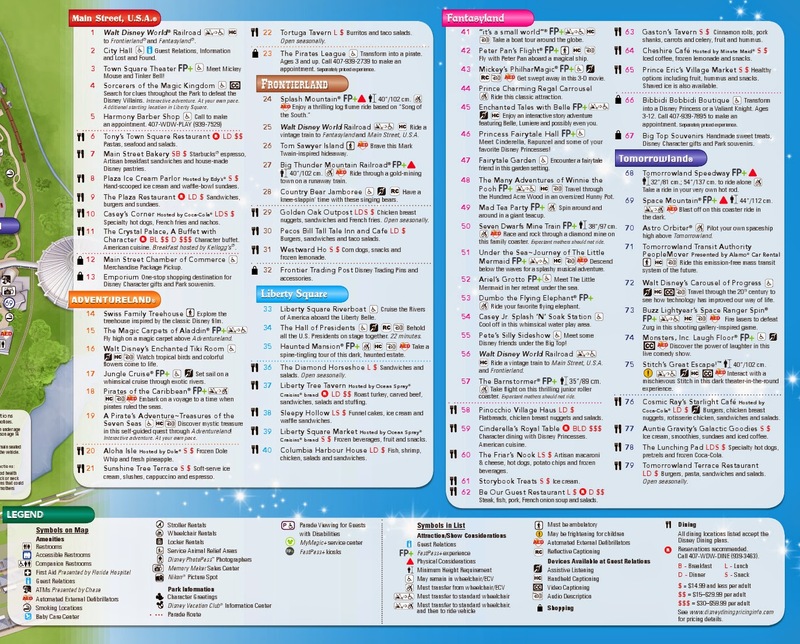 With the official opening of the Seven Dwarfs Mine Train on May 28, 2014, the first Magic Kingdom park map was issued featuring the new attraction and the completed Fantasyland. 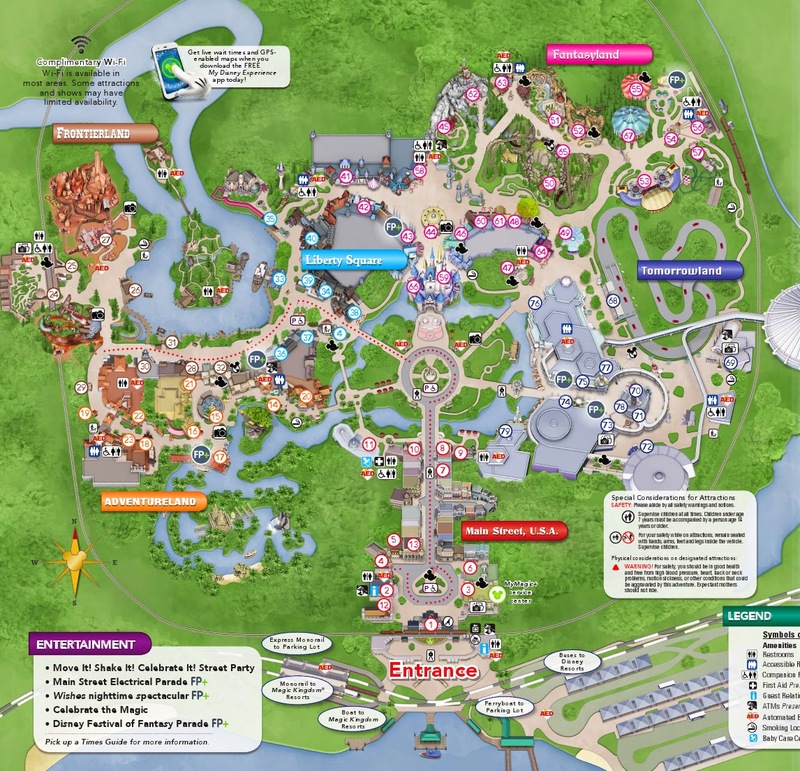 Map images via Orlando Park News. The First Ride! 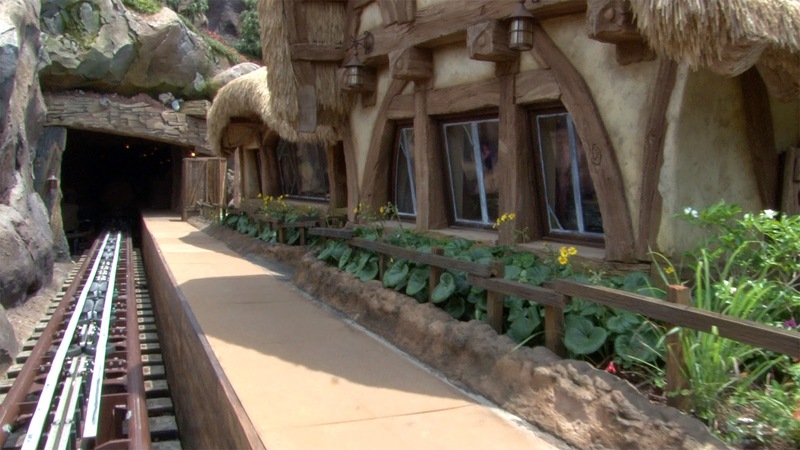 Seven Dwarfs Mine Train Officially Open! 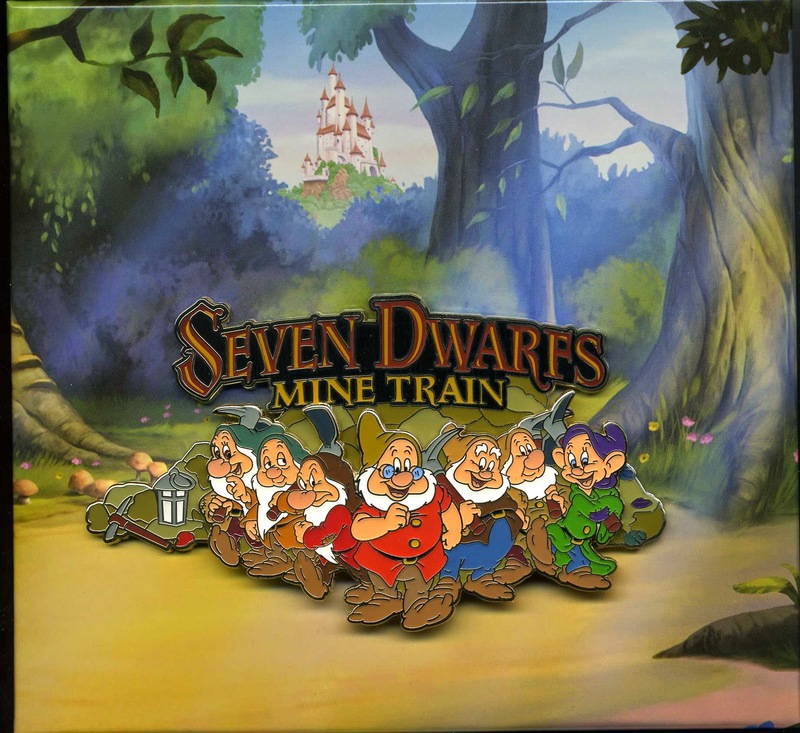 Today marks the official grand opening of the Seven Dwarfs Mine Train at Walt Disney World, and the attraction is now appearing on park maps. Soft openings for the new coaster have actually been occurring for a week. 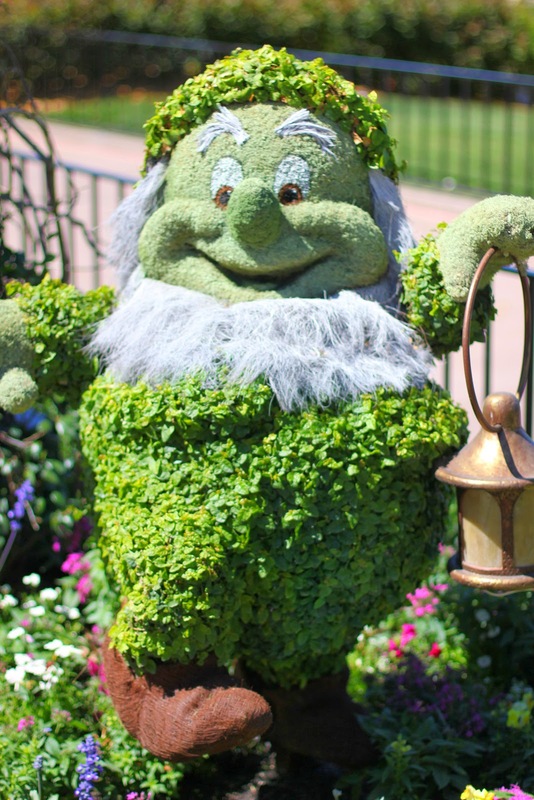 I was at the park last Wednesday when they let on about a hundred lucky guests first thing in the morning. 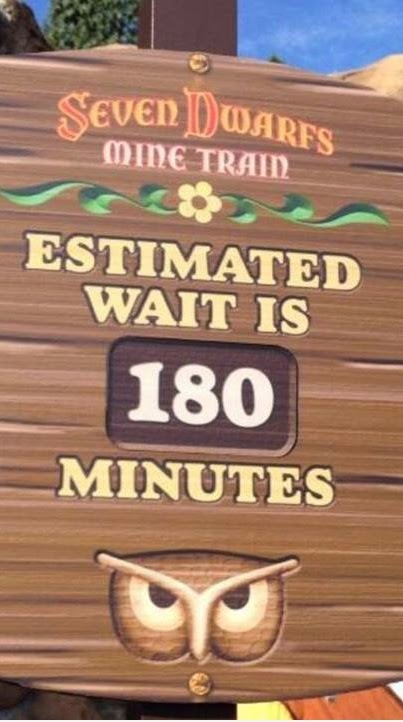 I missed this opportunity, and soon after it was closed off to allow only cast members to ride for the remainder of the day. Thursday was a similar experience. 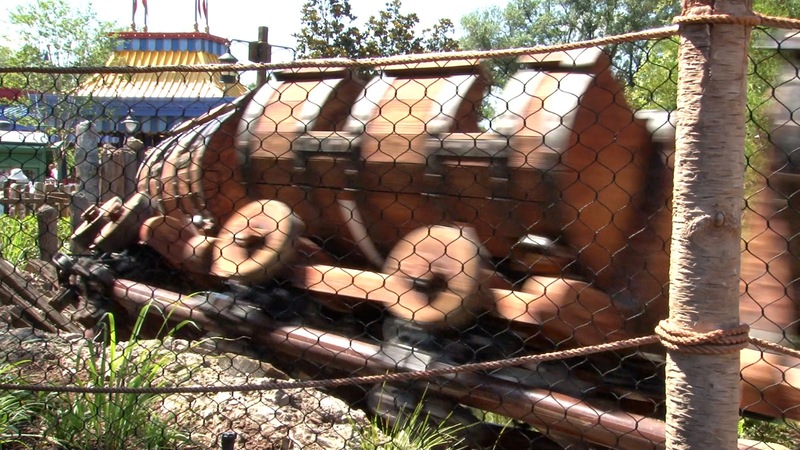 However, on Friday May 23rd, the park was open 24 hours and the Mine Train was in full swing! My first chance was on Saturday. 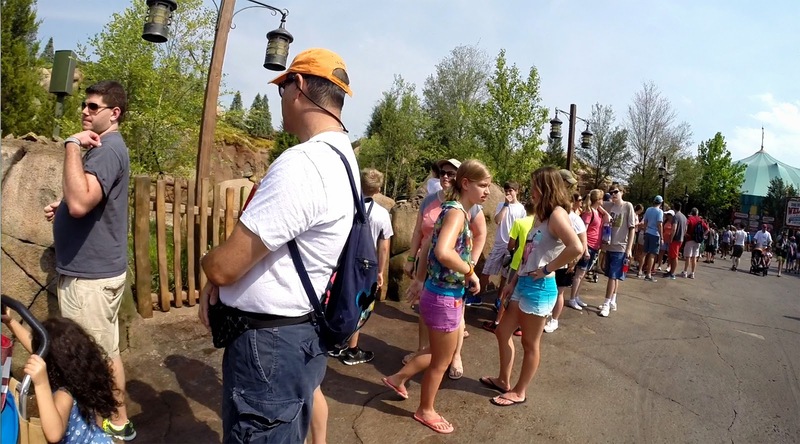 The queue line wrapped around the outside of the attraction, clear past Storybook Circus. At 10:30 am, the soft opening began and park guests could ride for the remainder of the day (except for a few short interruptions now and again). 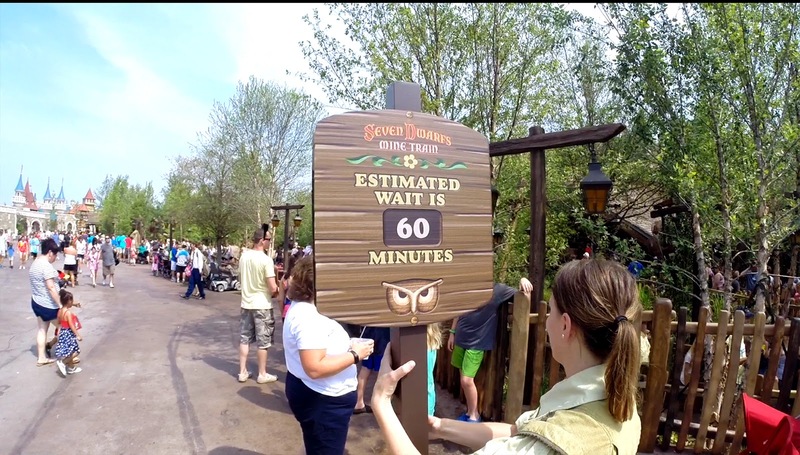 While the wait sign read 60 minutes, the actual time standing in line would be somewhere between 25-45 minutes. It moved rather quickly. On my first ride, I had the pleasure of joining Ben Miles and his parents (Ben being the last person ever to have ridden Snow White's Scary Adventures). A medley of instrumental Snow White music filled the air as we walked through the ascetically pleasing interactive queue. 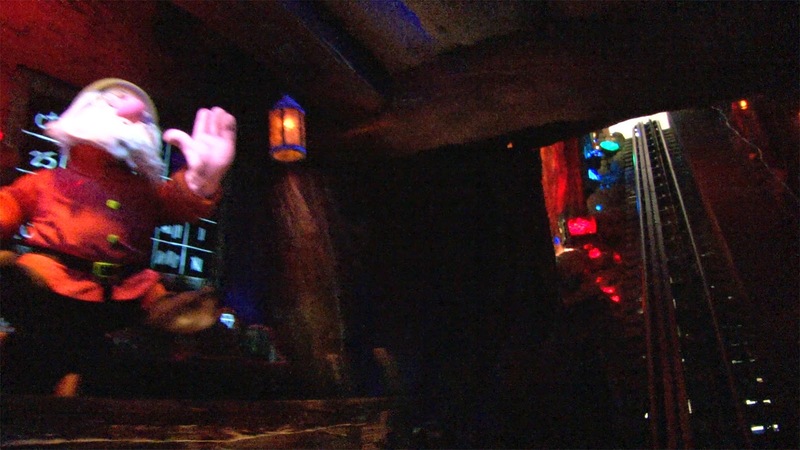 The ride itself is rather interesting because it's a roller coaster, yet with dark ride elements. 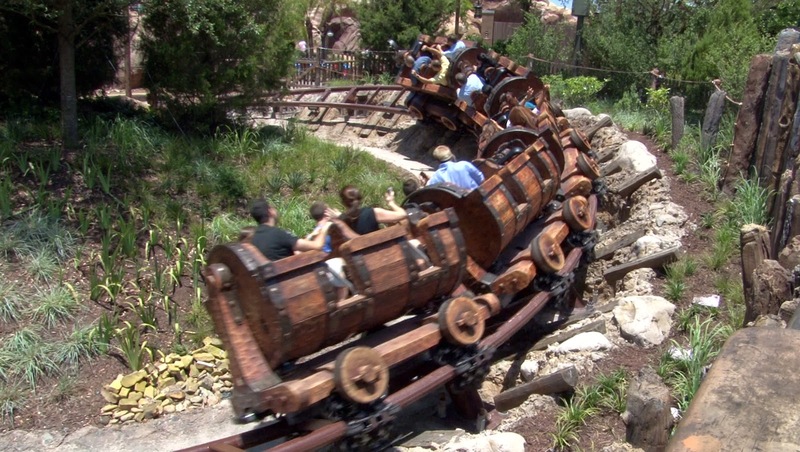 Disney considers it a family coaster, but it's one that packs a punch! 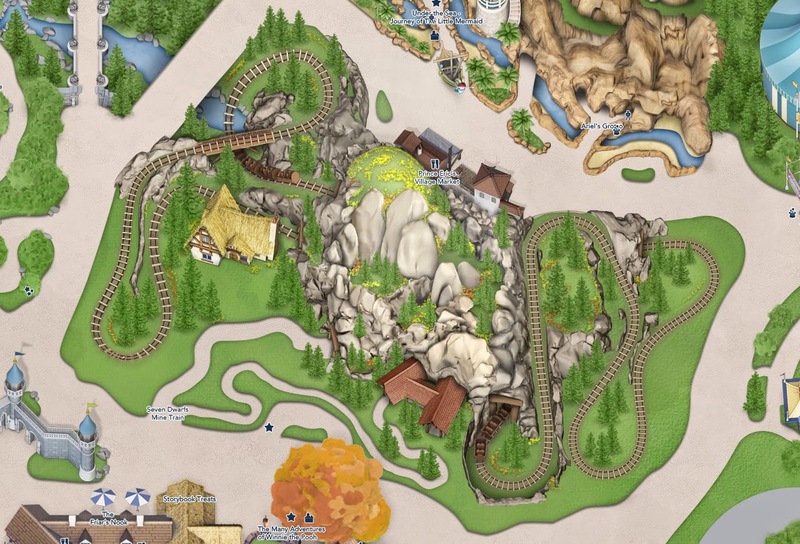 Other than the loading area and the two show scenes, there's hardly a flat stretch of track to be found. 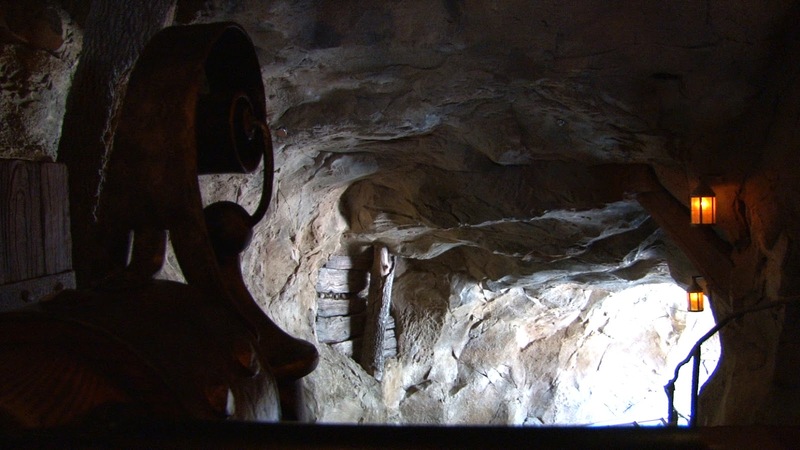 And the individual swinging mine cars make for a smooth, yet even more intense experience. 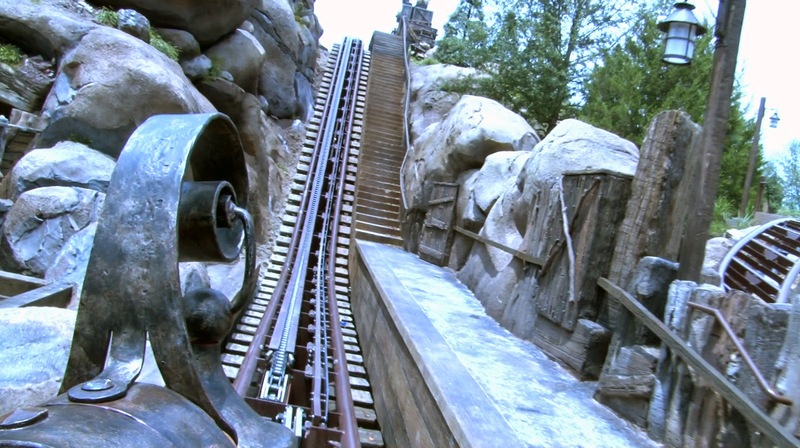 The first third of the ride is all coaster as it takes you up a lift and around sharp curves. 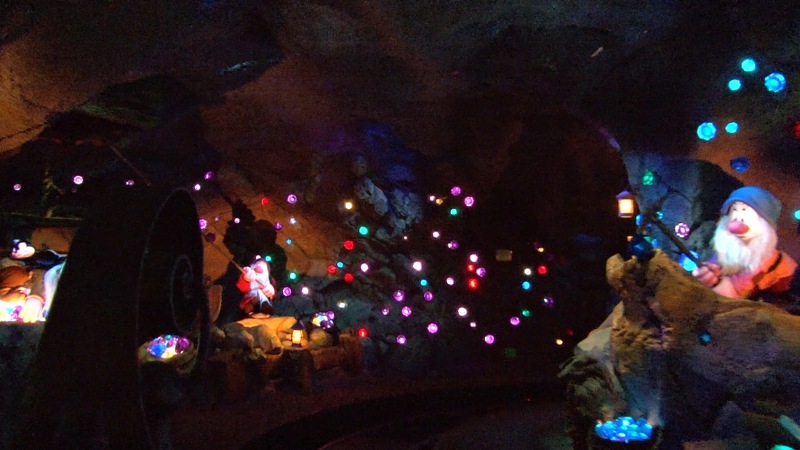 Then as you enter the mine, things slow down to a dark ride pace. 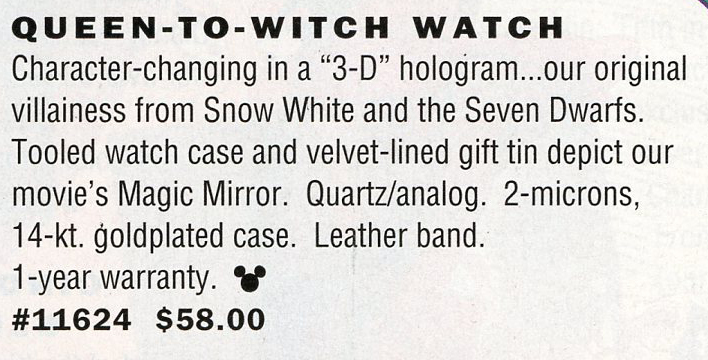 Much has already been said about the state-of-the-art animatronics. It's all true. 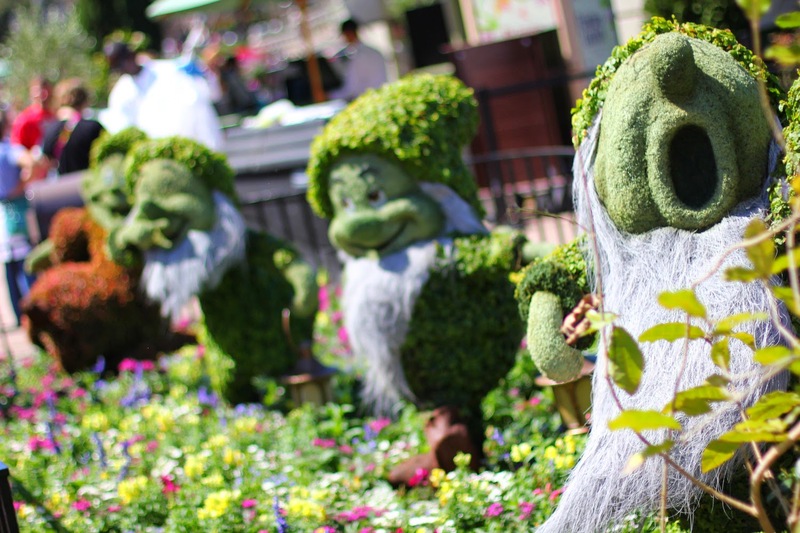 A spectacular show scene features the singing dwarfs. 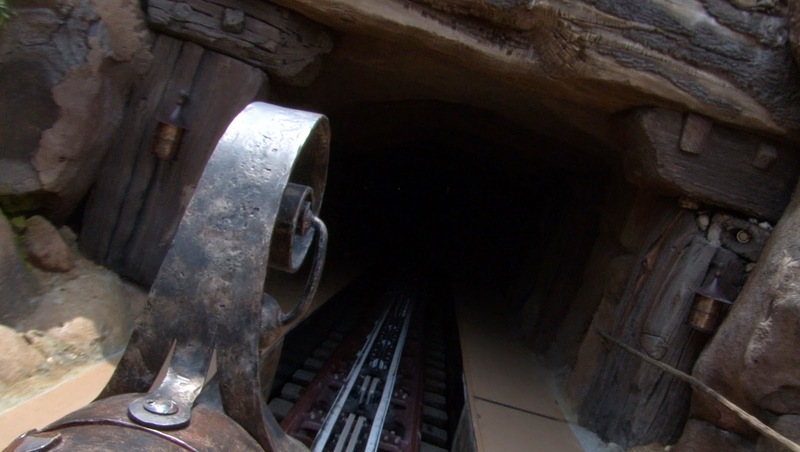 Then as we near the end of the mine, we climb another lift. 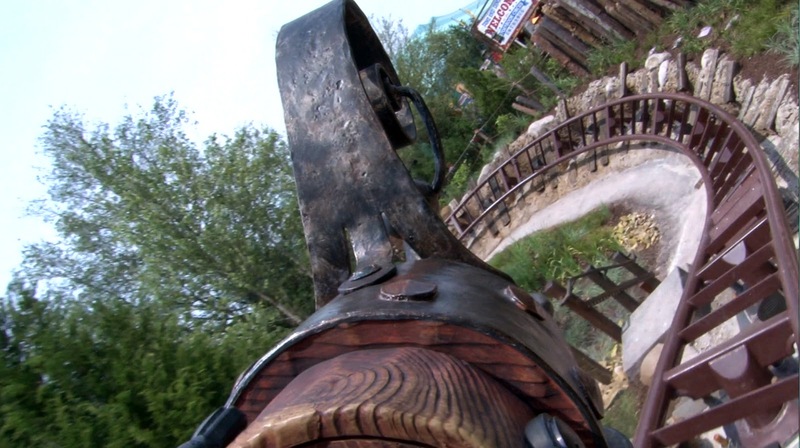 On this last third of the ride, the coaster's g-force is really felt. Drops, turns, and speed! We end up outside of the cottage and come to a complete stop. Through the windows we see the Silly Song dance reenacted. 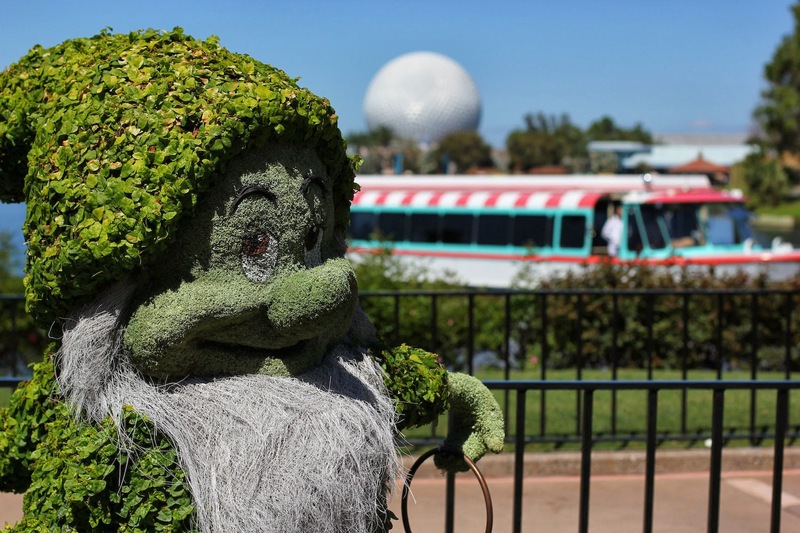 A few of the dwarf animatronics were brought over from the Scary Adventures for this. The best time to view this scene is at night when the window glass isn't reflecting your own image back at you. 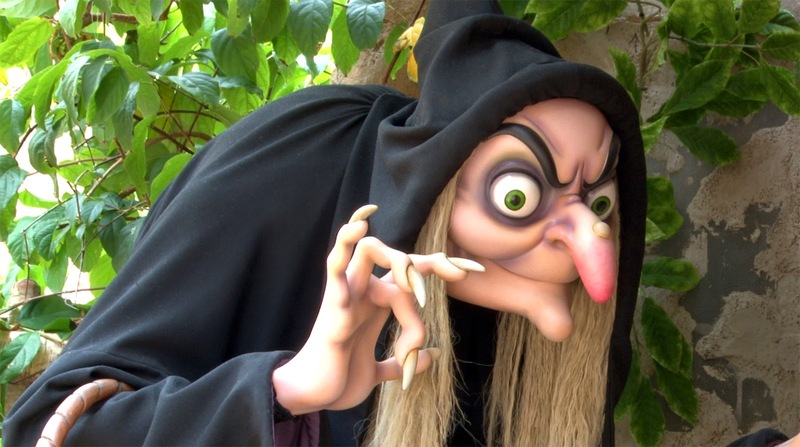 And at the very end, standing outside of the cottage is a terrific new audio-animatronic Witch. 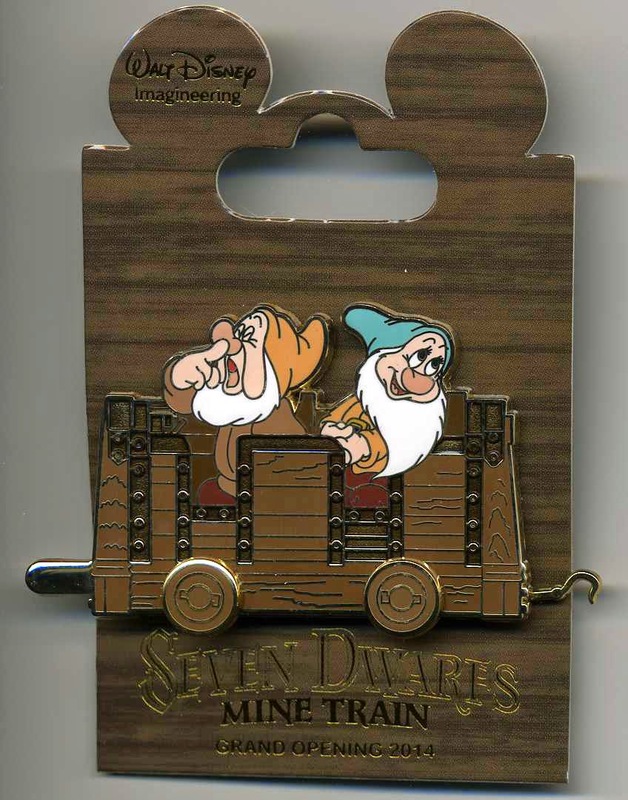 The Seven Dwarfs Mine Train is a great addition to the new Fantasyland. Fun and thrills! 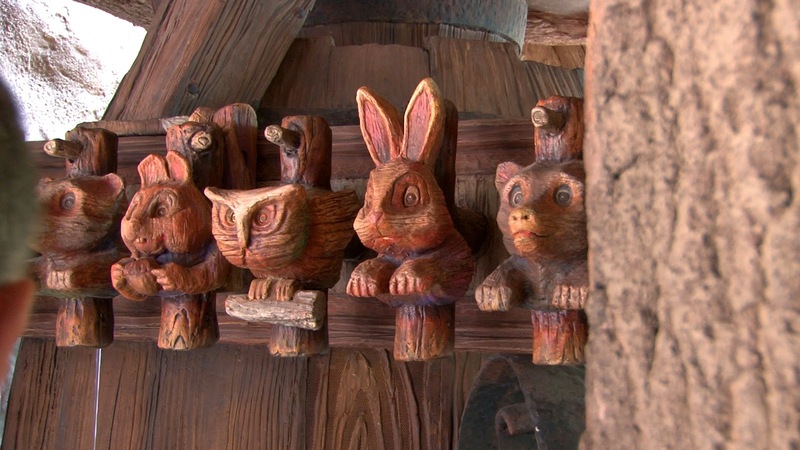 It's a coaster, though, not a dark ride. 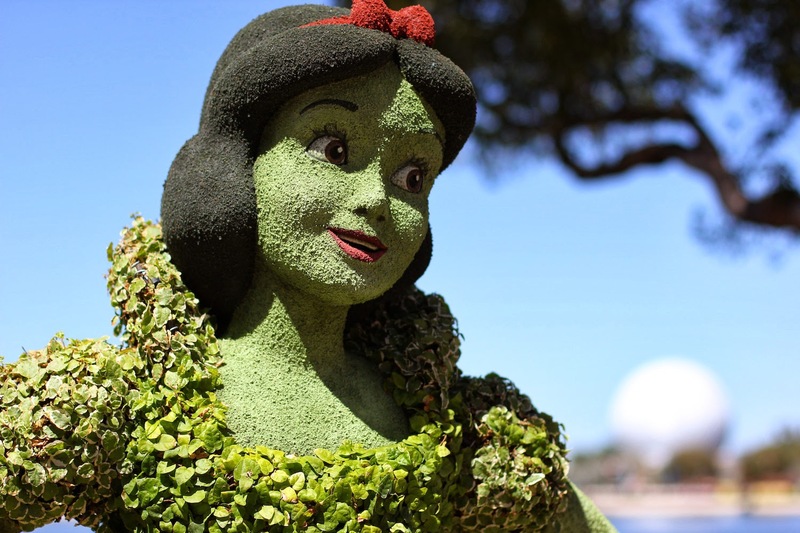 The loss of a classic attraction like Snow White's Scary Adventures is still a difficult pill to swallow. 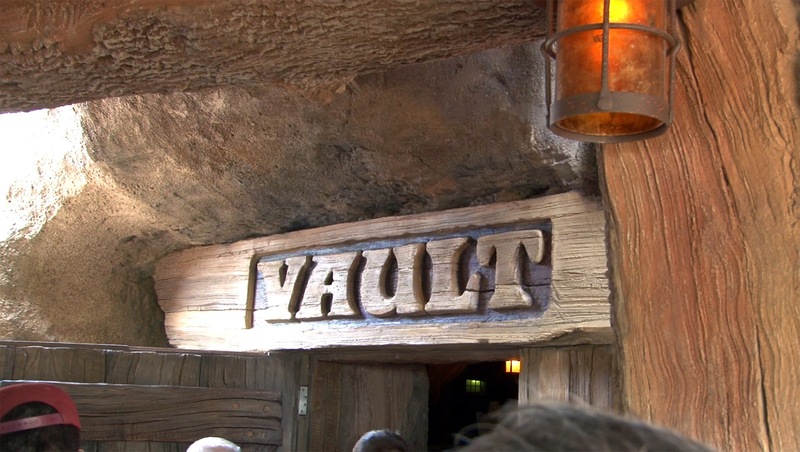 Yet, at least her memory can live on in aspects of this new gem of a ride. Today's grand opening wait time is up to 3 hours. 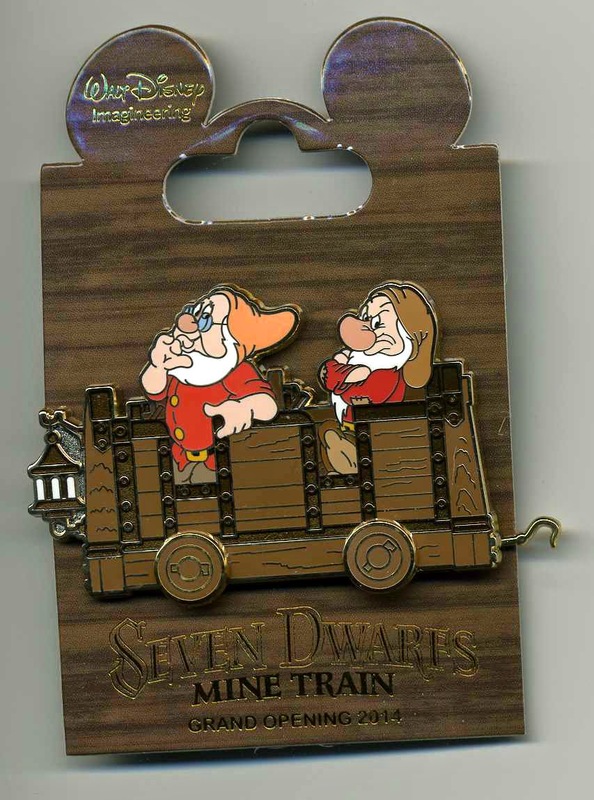 The Disney Parks Blog has posted pics and video from the grand opening of the Seven Dwarfs Mine Train where a ribbon-cutting ceremony took place early this morning. 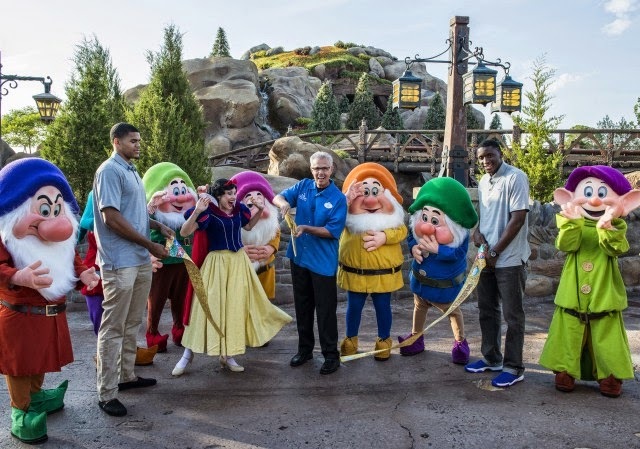 Snow and the Dwarfs were joined by Magic Kingdom vice president Phil Holmes and Orlando Magic players Tobias Harris and Victor Oladipo to officially open the new attraction. 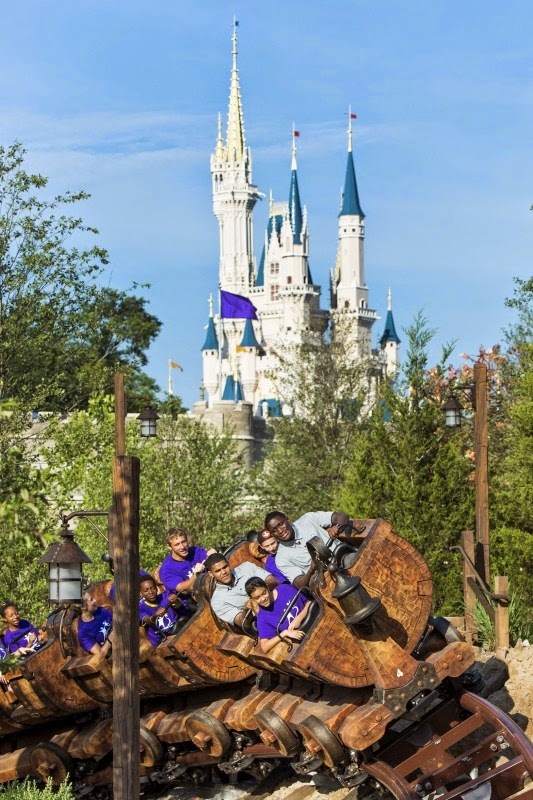 The NBA stars, along with seven pairs of adults and kids from Big Brothers Big Sisters of Central Florida, all became the first official guests to ride the Mine Train. 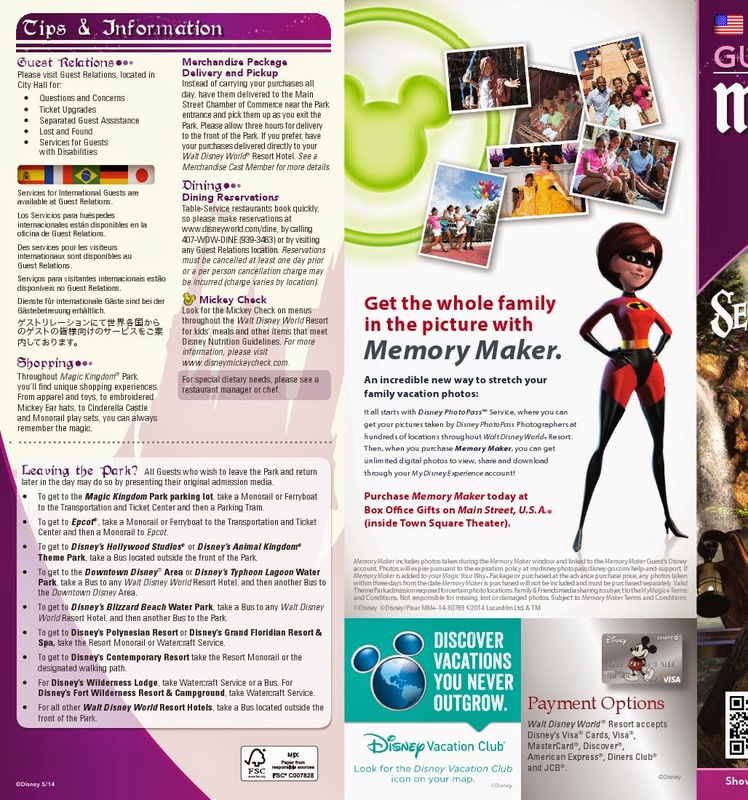 Photos and Video copyright Disney. 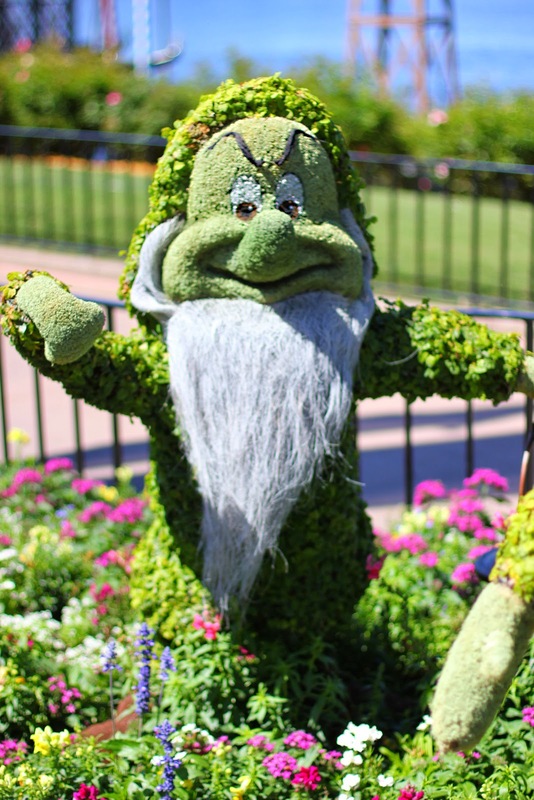 Character topiaries have been dressing up the theme parks for many years. 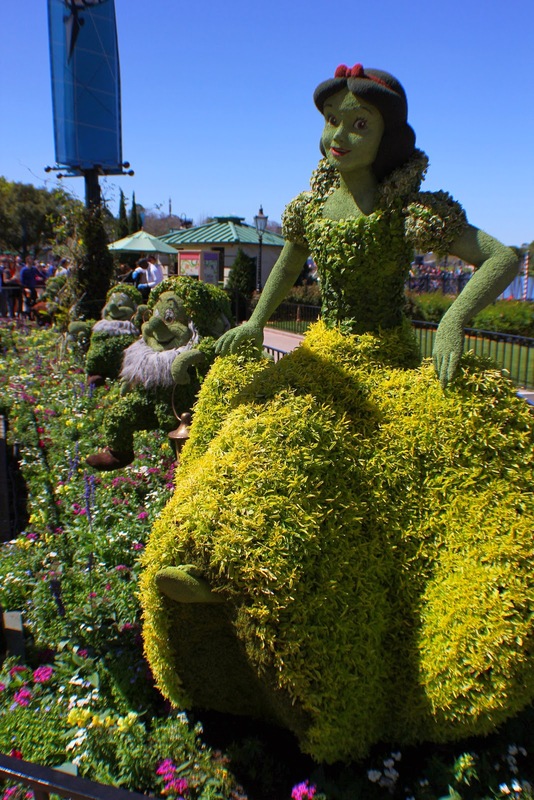 The latest creations by Disney topiary artists are usually unveiled each spring during the annual Epcot International Flower & Garden Festival. 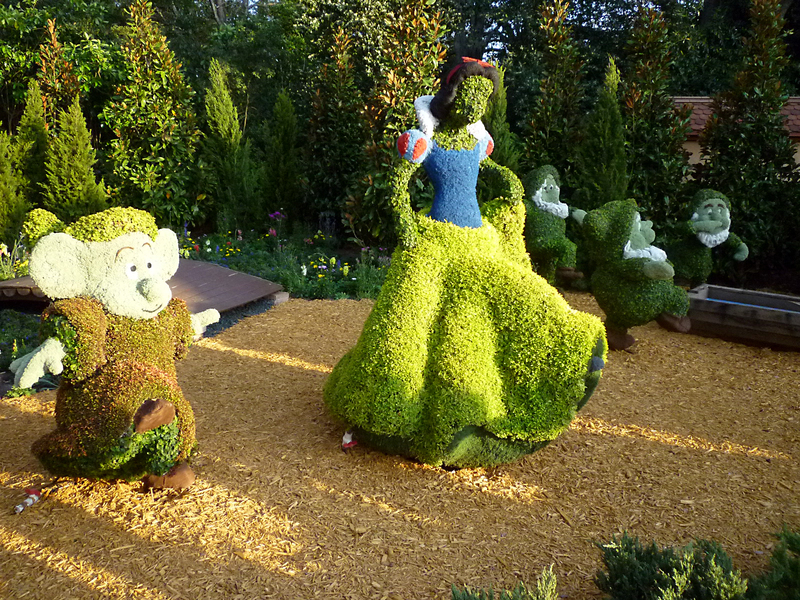 In an earlier Archive entry, we saw several fine examples of Snow White floral sculptures from years past. 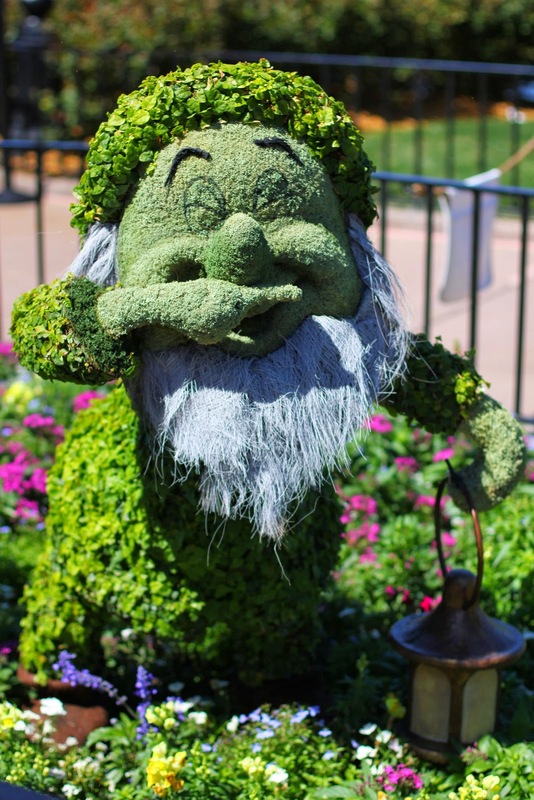 The princess was always seen wearing a "leaf" face, while the dwarfs would sport more detailed mugs-- though they were sometimes rather crude--as in this 2011 example below (near the Germany Pavilion). This year's 2014 Flower & Garden Festival is different. 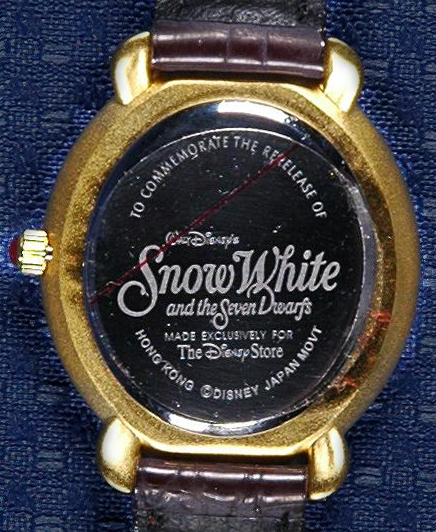 All of the Snow White characters are wearing very authentic looking faces. 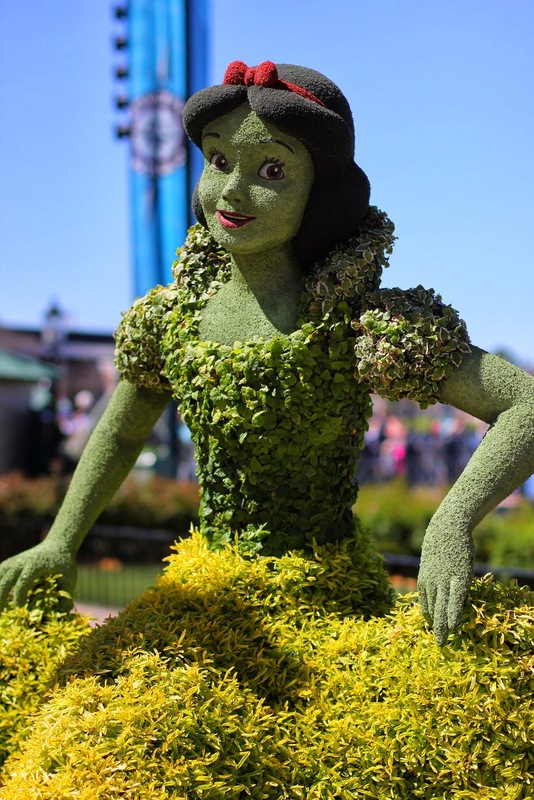 The princess, in particular, looks terrific. 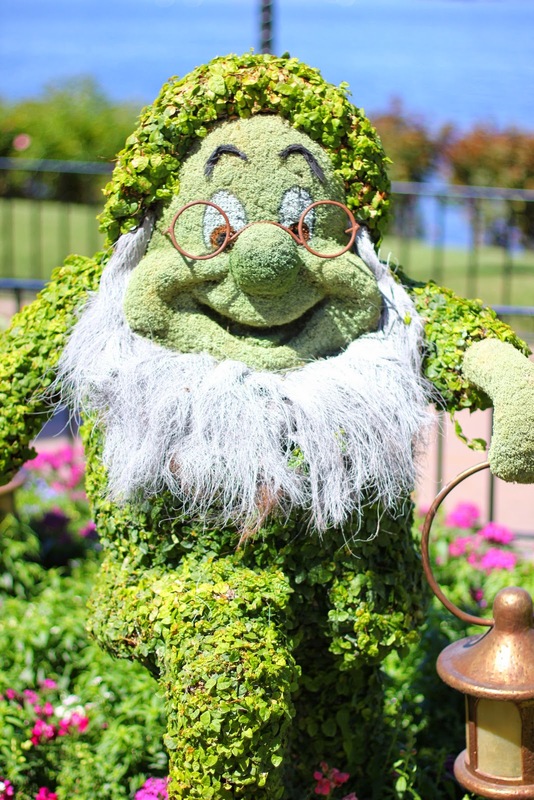 The following shots were snapped on a fine sunny day in March by Ricky Brigante of InsidetheMagic.net. Heart box" tin with velvet pillow interior. 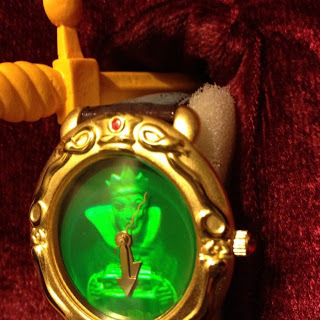 Inside is a 3-D Magic Mirror Watch produced by Fantasma. The set dates from 1993 and includes a miniature plastic sword which is used to latch the lid closed. 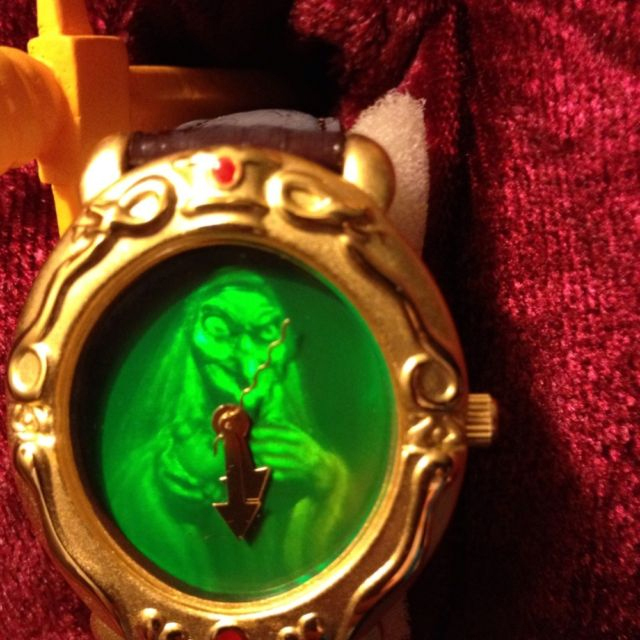 The face of watch depicts the frame of the Magic Mirror. 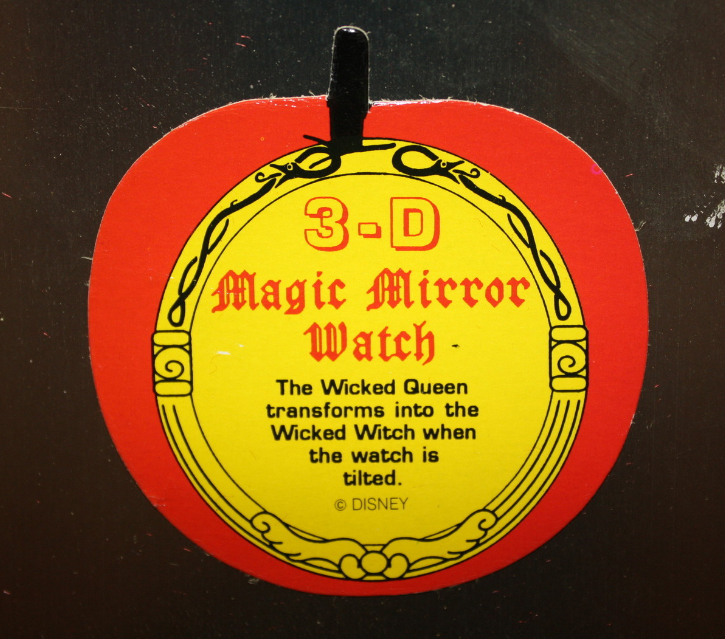 A 3-D image of the Queen transforms into the Witch when the watch is tilted. 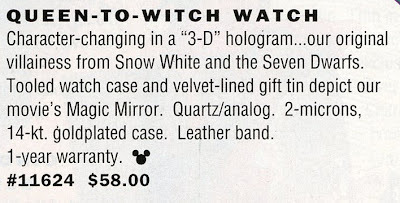 The hologram does not require the watch battery to work. The Queen becomes visible when the tin lid is opened. 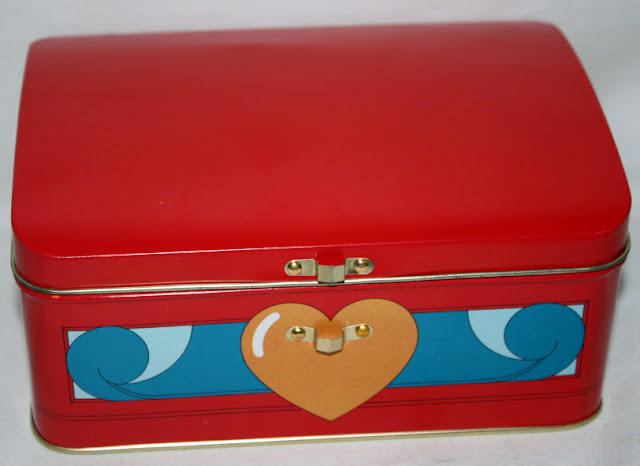 A round info tag was included inside the tin. Images via collectiblehobbies, Donna5960, a maggieandscotty2012. 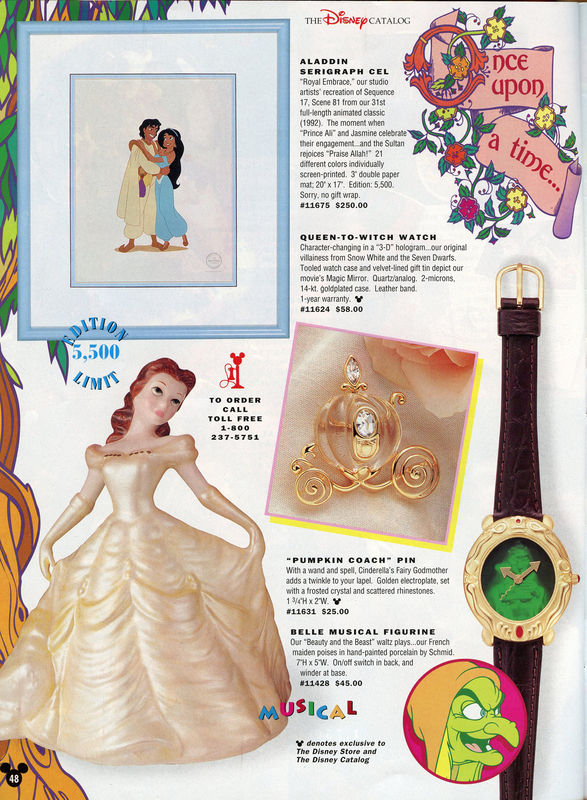 The watch was featured in the 1993 Disney Holiday Catalog, p.48. 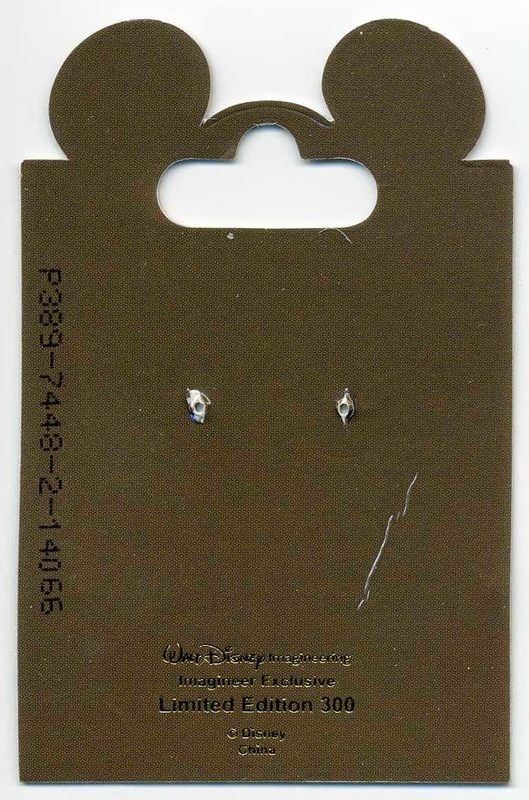 Original retail $58. Catalog image scans courtesy of Dan Alexander Dizmentia.